By admin , in Plantar Fasciitis on February 9, 2019 . There are several treatment options for plantar fasciitis and many sufferers find that a combination of treatment methods gives them the best results. Some options work well in the early stages of treatment to relieve pain and inflammation, while others are effective as a longer term treatment to prevent a recurrence of the problem. The plantar fasciitis night splint falls into both categories. 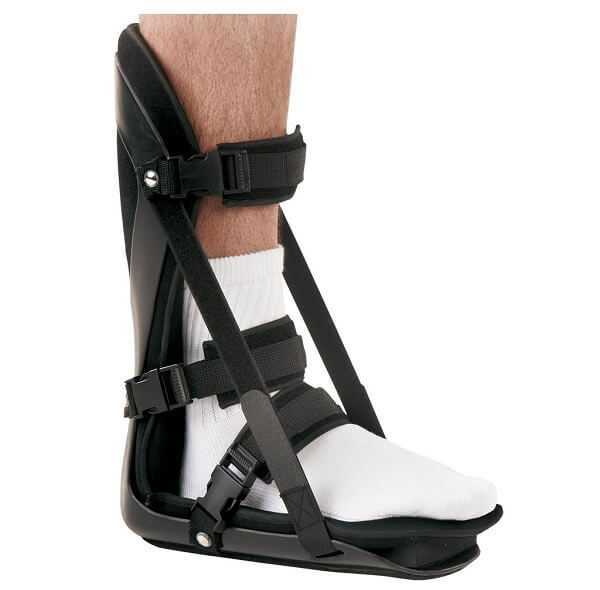 A plantar fasciitis night splint is a type of brace that covers the foot, ankle and lower leg. As the name suggests, it is designed to be worn at night, when you are in bed, mainly because it is cumbersome and needs to be worn while you are lying down. It is best not to move or walk around while wearing the splint. The purpose of the night splint is to stretch the fibrous tissue of the plantar fascia by holding the foot and ankle in a fixed position that slightly stretches the ligament. One of the causes of the condition is a shortened ligament which is easily injured during exercise and long periods of standing. It has the secondary action of lightly stretching the calf muscle; a shortened calf muscle is one of the factors in the development of plantar fasciitis. Wearing a plantar fasciitis night splint helps to correct the problems that cause the condition and also to relieve the pain and inflammation associated with it. Many patients report a significant decrease in heel pain during the day, after wearing the night splint, especially the early morning pain felt when first getting out of bed. Night splints are considered by many to be one of the best treatment methods for plantar fasciitis, the most common cause of foot pain. 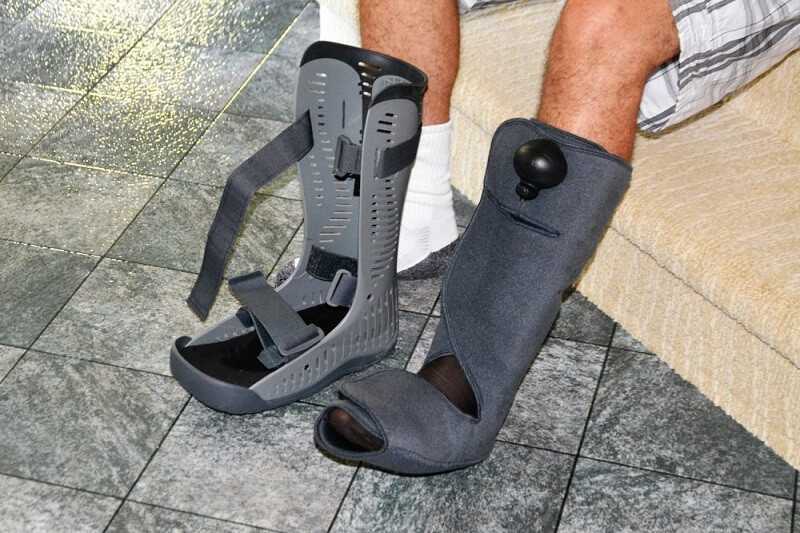 To help you decide if a night splint will help you in the treatment of your foot pain, we have divided the information into the advantages and disadvantages, or the pros and cons. • They are effective at gently stretching the plantar fascia ligament to relieve pain and inflammation. • They also stretch the calf muscles which may have contributed to the condition. • They hold the foot and ankle in the correct anatomical position overnight. They are designed to be used at night, so they don’t interfere with your daily activities. • They can also be used during the day, when you have time to rest. • They are one of the most commonly prescribed treatment methods for plantar fasciitis. • They can be utilized as an early treatment option to relieve pain and inflammation as well as an on-going treatment to correct the alignment of the foot. • Many patients report an improvement in the most common symptom, heel pain, especially in the morning. • They only stretch the ligament in a resting position but don’t provide any stretching when under the load of supporting the body weight when standing or moving. • They are cumbersome and uncomfortable to wear. • They may potentially disturb your sleep and rest. You shouldn’t walk around while wearing a night splint. • There is no medical evidence that they are actually effective in effectively treating the condition. Some experts believe that over-use of night splints can have a detrimental affect on the foot and might actually make the condition worse. • They are expensive, costing between $60 and $80. Now that you have information about plantar fasciitis night splints, you are in a better position to make a decision for yourself and your condition. Make inquiries about hiring a night splint from a pharmacy or medical supply store; this means you won’t have to outlay any cash until you are sure that you can benefit from wearing a splint.